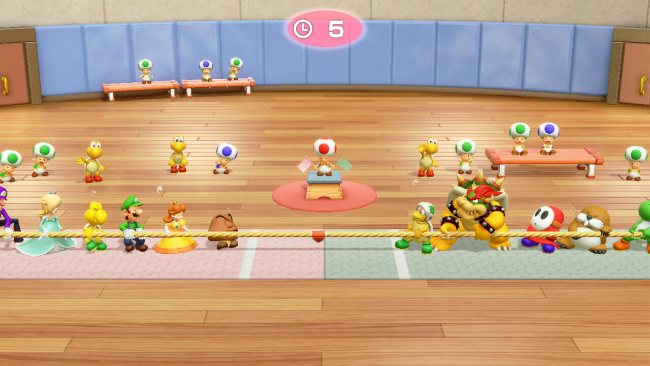 This fall, the library of games for the Nintendo Switch has been replenished with another multiplayer project from the Mario Party series, which was first released in 1998. Since then, only on stationary consoles, ten parts were released, but this time the developers abandoned the number “11” in the title: the new game received the iconic name of the Super Mario Party. Does this mean a total rethinking of the entire series? We tried to find answers. The main focus of the new game is on the capabilities of the Switch console, using a portable screen and detachable joys. However, there is a small catch here. Since the project is sharpened for multiplayer and motion-control, playing the Super Mario Party alone in the classic portable version, holding the console with two hands, will not work. You will definitely have to disconnect one of the joys, and put the screen on the table in front of you, or on your knees. In the second case, playing so, to put it mildly, is not very convenient, therefore it is difficult to call the Super Mario Party fully portable. Yes, you can easily take the console with you and play, for example, in a cafe or in the country, but in transport, especially while standing, it will be almost impossible to do so. 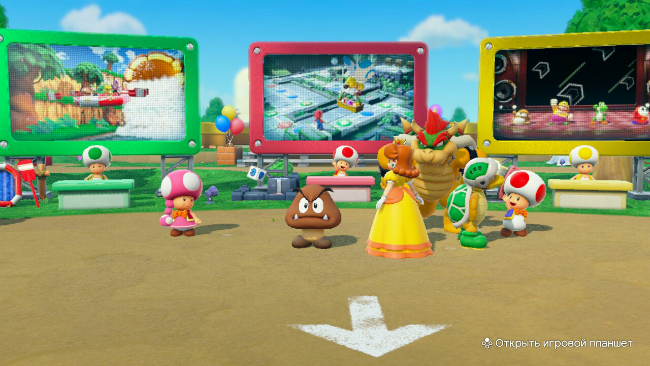 With multiple players, the Super Mario Party is instantly transformed. As in the previous parts of the series, the main mode is a board game. It consists of a turn-based stage and a mini-game mode that is activated between turns. In the first case, gamers singly or in teams throw dice and move around the map, divided into cells. As in almost any board game, the main task is to accumulate the most points. This can be done by collecting rare stars, randomly falling on any segment of the map, as well as winning mini-games. Both modes perfectly complement each other. After intense thinking about the move and selecting the right combination of dice, various mini-games give a charge of positive and cheerfulness. Particularly pleased with how actively the developers involved the sensory functions of the joys. Virtually every mini-game makes you wave your hands in different ways, and sometimes it must be done in sync with teammates. The number of mini-games themselves is really huge and you need to spend more than one evening after the project in order to try every one at least once. You can choose from the traditional variations on the topic: climb higher, jump further, run down faster, and very extraordinary problems of combining three-dimensional geometric objects, passing tricky labyrinths, games for quick memorization of visual images, cooking and much more. Almost all of them are elementary in mastering, so they are perfect for playing with small children, and in the noisy company of adults who do not want to understand the complex rules. 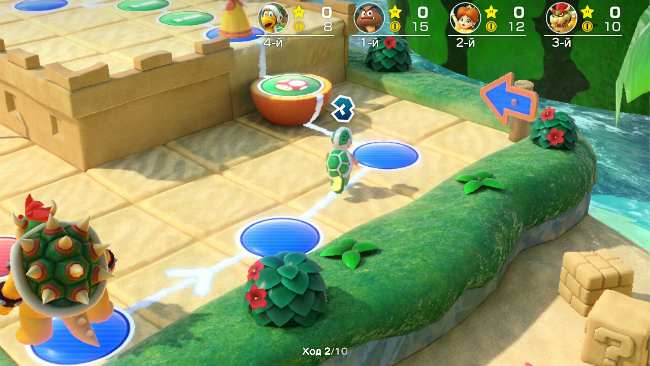 The corporate model of the Super Mario Party board game is not limited to, offering a few more full-fledged types of multiplayer. In our opinion, the most interesting was the mode simulating an extreme descent in an inflatable boat along a turbulent stream. Each of the four participants of the swim takes a joykon-paddle in hand and rows so that the boat goes in the right direction. For competent descent on a winding river, replete with dangerous rapids, stones, predatory fish, whirlpools and other adventures, you will have to become a real team. You need to row one after another, all together, now synchronously, now in discord. Along the way, the boat will come across special areas that will take you to the mini-games mode. Earning points there, you can get bonus time, which is useful for the successful completion of the swim. Another mode is a classic musical rhythm game, consisting of several stages. In essence, this is a simplified version of Just Dance, where all movements are limited to various jerks of the joycon in different directions. In addition, at any time you can arrange a competition from any number of mini-games at your discretion or compete with other players in the online mode. Super Mario Party is designed exclusively for a large company of people, or at least two people. Playing against artificial intelligence is not so fun. 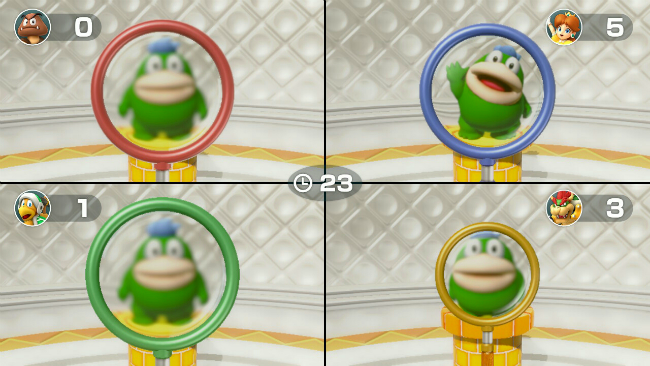 Despite the three difficulty modes, none of them balance the level of the opponent adequately. AI can constantly play in mini-games, but not give the slightest chance in turn-based mode. Of course, during the collective game of this lack of recall is not necessary. Another annoying moment can be called a feature of the game, when after each round, under the announcer’s joyful cry: “Ready ?! YES! ”You must“ give five ”to your partner. After a few minutes from this deliberately repeating “features,” you start to climb on the wall. 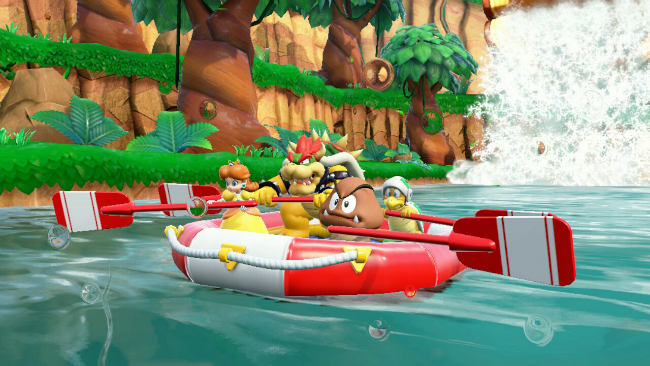 From the point of view of graphics, visual design, and sound, the Super Mario Party looks like it should be for projects about Mario – with a bright style, cute characters and funny animation. Almost all the characters of the series are represented, the sound effects seem to be native, the positive musical themes immediately tune to the desired mood. The most convenient version of the game turned out to be a large TV screen, around which a company of several people can gather. 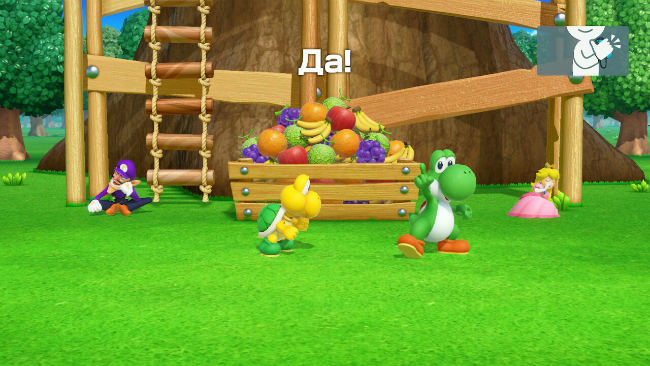 An important addition is the complete Russian localization with text and voice acting, which will be especially relevant for playing with young children. In the Super Mario Party, there is nothing revolutionary, but the game remains the king of parties. This is an ideal gift for the whole family and those who are tired of sitting alone in a room, playing online, and they miss the days when friends came to visit to spend a fun evening at the game console.